A great color that works well for most skin tones, especially fair types. 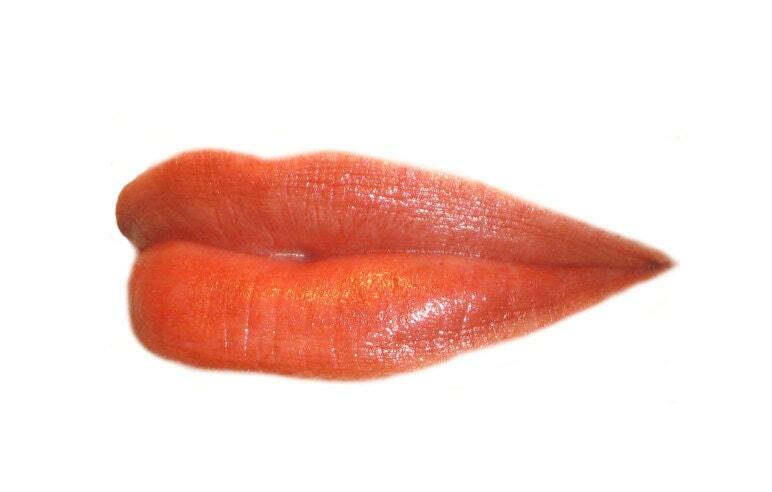 A "Mauvey-Cranberry" sheer versatile Lip/Cheek/Eye color with Gold/Copper sparkle & shimmer. 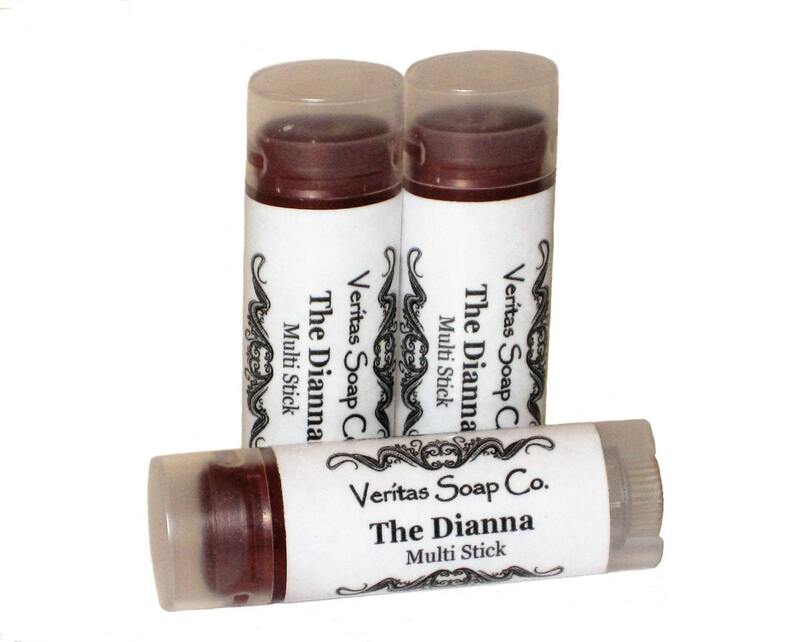 Veritas Soap Co.'s Multi Sticks will leave your skin smooth, hydrated and supple. We've formulated them with natural and organic ingredients, vegetable waxes, micas & oxides from the earth. It also has organic Stevia so it tastes sweet! 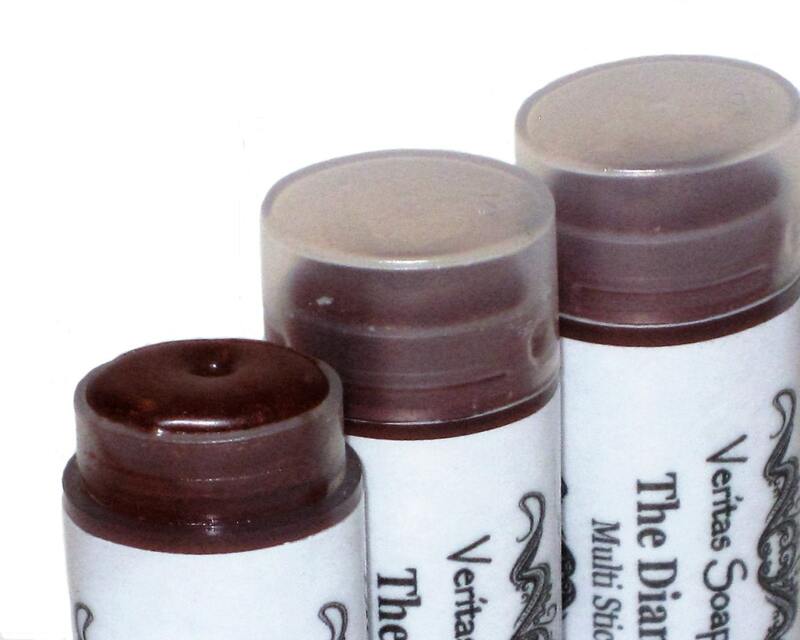 Great to use as a sheer Lipstick, Cheek Blush or as an Eye Gloss. Layer for a bolder color, mix & match to create your own signature look or pair them with your favorite Lip Pencil! SO FABULOUS!! INGREDIENTS: Castor Oil (Cold Processed), Candelilla Wax, Carnauba Wax, Rice Bran Oil, Organic Coconut Oil, Stevia, Vitamin-E, Micas & Oxides. Another beautiful lip color stick that I've received from this shop, I'm loving these lip colors! I've ordered several different items from this shop, and I love them all! This is a wonderful shop! I will definitely be returning to this shop - high quality products, a seller who cares about her customers, and free samples with delivery! The shipping was prompt. Everything packaged well and arrived in perfect condition. The multi sticks go on smoothly and don't dry me out like some lip products can. Thanks so much for the extra multi stick! Have a Merry Christmas!! Sorry for the late review. The shipping was prompt. Everything was packaged well and arrived in good condition. The Dianna is a nice shade. It isn't too dark and I think it would look good on probably just about everyone!! Thanks for the free multi-stick!! When I asked for guidance in choosing a color Cynthia suggested this-and she was spot on. I will buy this again and again. The stick is a great multi purpose item and it's shape (flatter than a "traditional" stick) is a welcome change for my pocket or purse. There's nothing better than great communication and an A+ product. I LOVE this shop!